I think you'll agree with me that comfortable shoes aren't easy to find. The older I get, the more finicky my feet become--so many of my shoes no longer work for me. 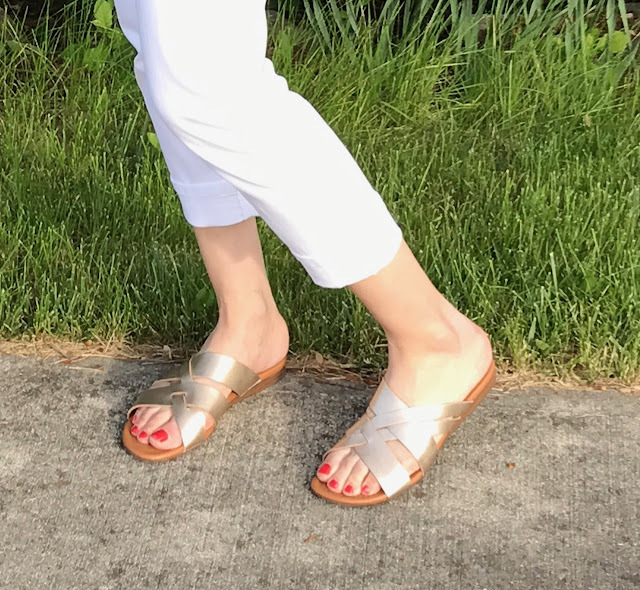 I thought I would share some of my favorite COMFY summer sandals with you--these are the lines I recommend to my clients. Of course everyone's feet are different, but they might be worth a try. So I'll start out with flipflops. I've tried many lines, but find these Reef Flipflops to be the softest and most durable. I've had mine for 3 summers and this season they're finally ready to toss--I have 2 more pairs in my shopping cart as I write! There are lots of fun colors to choose from and I love the bling! 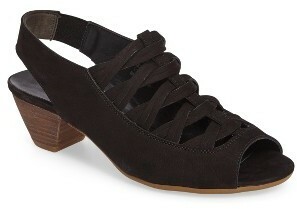 I recently bought these Franco Sarto sandals and they've amazing--- they feel like slippers! They're still available in a few colors and best of all, they're on sale! If I had to pick my favorite sandal, it would be these from Sofft. They are soooo comfy that I bought them in a few colors. 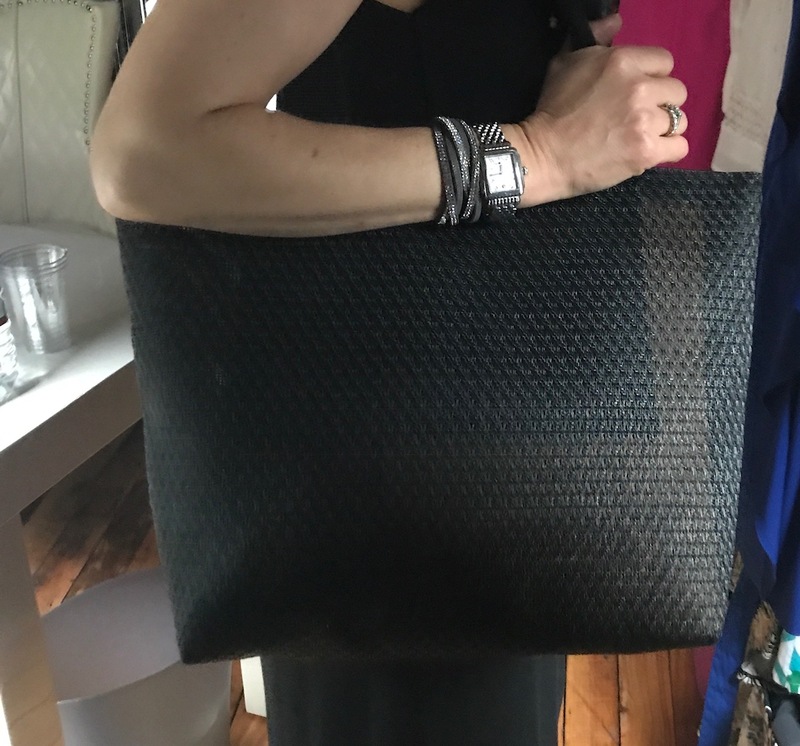 Metallic tote from Jetzy Bags. These bags are amazingly durable and so easy to wash. I love mine! I just got these Bare Traps sandals and I've been wearing them constantly. 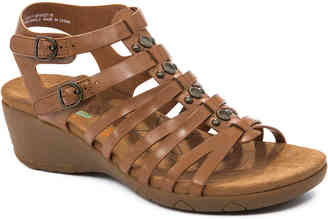 With 2 velcro straps that hold your foot in place and a memory foam footbed, they're SUPER comfy. I can wear them all day and my feet feel great. I highly recommend these sandals as an alternative to sneakers. Last but not least, one of my favorite lines is Paul Green. Yes they are pricey, but you get what you pay for. The leather is glove soft, they last forever and they're amazingly comfortable. I bought these last year, but here are some similar styles below. Happy feet make a happy Midlife Fashionista. I'm so done with blisters! The Bare Trap sandals and Jetzy Bags were gifted and links may generate a small commission .however, the content of my posts are based on my own honest opinions and are not in any way influenced by partnerships. really like this blog!!! this is exactly my style, correcting some basics though! So I LOVE Paul Green. Yes, they are pricey but they are worth every penny! Those flip flops are so cute, I might just need a pair! 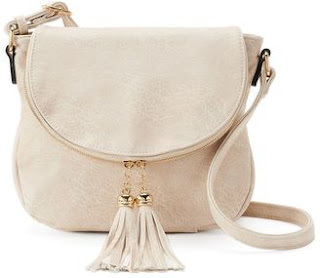 Love your bags too, great round up!